Deodat Larson, an unordained minister followed Burroughs. 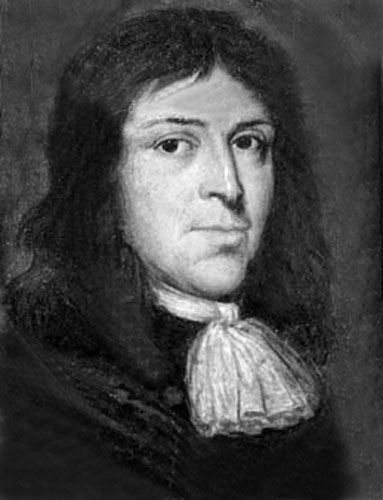 Reverend Deodat Lawson came from Boston and served as pastor from 1684 to 1688. Again contention arose in the church and Larson’s bid to become an ordained minister failed. Like his two predecessors, Lawson ran into problems with Salem villagers and the Salem Village Church was being torn apart by two groups, each wanting control of the pulpit. This resulted in much of the congregation rejoining the First Church in Salem. In 1688, at the conclusion of his period of contractual obligation, Lawson left Salem Village. He then became a pasture in Scituate, Massachusetts before abruptly returning to England where he lived for the rest of his life. The villagers continued to hope that formation of their own church, apart from the Church of Salem, would be a way of somehow transcending the chronic divisions which plagued the community. As a result, they began to search for an ordained minister. It soon came to their attention that there was a Reverend Samuel Parris, who was guest-preaching at several Boston area churches and sent him an invitation in the spring of 1689. A Harvard Divinity School dropout, Parris first attempted to follow his father’s profession as a West Indies merchant, but when that failed, he returned to Massachusetts to become a minister. On June 18, 1689, at a general meeting of all of the villagers, it was agreed to hire Samuel Parris, at an annual salary of £66 and the villagers would provide firewood for both the church and parsonage. At a later meeting, the villagers agreed they would also provide Parris and his heirs, the village parsonage and barn, and two acres of land. It was a fateful decision that Parris did not enter into lightly. He was aware of the conflicts of the village that had taken place in the last several years, but, his Puritan beliefs that each person was responsible for monitoring his neighbor’s piety, he knew that conflict was inevitable. On November 19, 1689, the Salem Village church charter was finally signed and the Reverend Samuel Parris became Salem Village’s first ordained minister. Salem Village now had a true church. To the parsonage, Reverend Parris brought his wife, Elizabeth, his nine-year-old daughter Elizabeth, his 11-year-old niece, Abigail Williams, and a slave couple he had brought from the West Indies, John and Tituba Indian. His ministry began smoothly; but, as Parris began to reveal his beliefs and traits, a number of Salem Villagers, including a few church members, did not like what they saw. A serious, dedicated minister, he combined his evangelical enthusiasm to revitalize religion in Salem Village with psychological rigidity and theological conservatism. While the Salem Towne Church and most Puritan churches of the time, were relaxing their standards for church membership, Parris held rigid to traditional strict standards, which required that members be baptized and make a public declaration of experiencing God’s free grace to become full members. Most village church members were happy with Parris’s traditionalism, which elevated their status by sharply distinguishing them from non-church members. But, a minority dissented and found allies among non-members, who constituted a large and influential part of the Salem Village community. Suddenly, Parris also found himself in the midst of contract disputes with the members of the Salem Village Church council. The council alleged that the contract, which was seemingly never formalized, only provided Parris with the parsonage and lands only so long as he remained the minister, rather than Parris’ beliefs that the contract granted Parris outright ownership of the house and lands. At the same time, Parris was making plans to refurbish the meeting house, commensurate with its new status as a full church. But, to many, this signaled a church both more intrusive and more expensive than some villagers wished. By the fall of 1691, only two years after his ordination, Parris’s ritual orthodoxy, overbearing disposition, and the disputed contract had caused the village and church to once again break into factions. Church attendance fell and village officials refused to provide firewood to warm the church or Parris’ house. Matters turned worse when a new Committee of Five was chosen by the village in October 1691, which announced its refusal to relinquish the ministry house and land to Parris or to collect taxes for his salary, leaving it to the villagers to pay by “voluntary contributions.” Parris then called upon church members to make a formal complaint to the County Court against the committee’s neglect of the church. The factional fighting also began to play out in his weekly sermons as a battle between God and Satan. This was the backdrop for the Salem witchcraft accusations, which would begin right in Reverend Parris’ own home. At the time that the witch trials began, the population of Salem Village is estimated to have been between 500 and 600 residents. Though most of the accused in the Salem witch trials lived in nearby Salem Village, now known as Danvers, there were others who lived in the nearby villages of Beverly, Middleton, Topsfield, Wenham, and others. 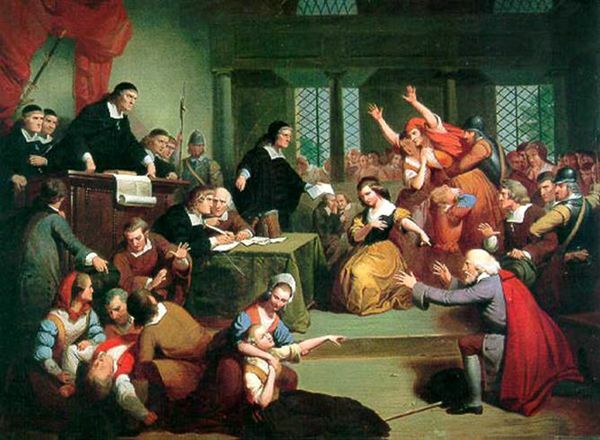 Although no one knows for certain why the Salem Witch hysteria began, some historians point to economic factors, while others insist on religious and psychological pressures. By the end of May 1692, more than 150 “witches” had been jailed. As the hysteria spread, accused and imprisoned “witches” afraid for their lives began to confess to witchcraft. By September, 19 people had refused to confess and were hanged, including 71-year old Rebecca Nurse. Cooler heads eventually prevailed in early 1693, and the court began disallowing “spectral evidence,” bringing an end to the witch hysteria. Salem Village eventually petitioned the Crown for a charter as a town. According to legend, the King denied the charter. However, on June 9, 1757, the town was incorporated anyway and named for the Danvers Osborn family. At the time of the American Revolution, Danvers was a shipping and shipbuilding center where tidal mills prospered. Its local bricks became nationally famous, while the later leather tanning industry brought a diverse and colorful mixture of new immigrant labor to the area. Tapleyville emerged in the 1830’s as a center for the production of woven carpets where English and Scottish weavers settled and made their homes. Danvers Plains took advantage of important crossroads and the introduction of the railroad in the 1840’s to become the prominent commercial center. Putnamville and Danvers Highlands were noted for their important and early shoe manufacturing industry, while farms throughout Danvers became known far and wide for the Danvers half-long carrot, and the Danvers onion, still popular today. Today, the Salem Village Historic District in Danvers contains over a dozen houses in Danvers dating from that era, many associated with the witchcraft tragedy of 1692. Many of these building are located along Centre Street. The house of one of the convicted “witches,” Rebecca Nurse, is still standing in Danvers and can be visited as a historical landmark. Now operated as a museum the Nurse Homestead is located at 149 Pine St. in Danvers. 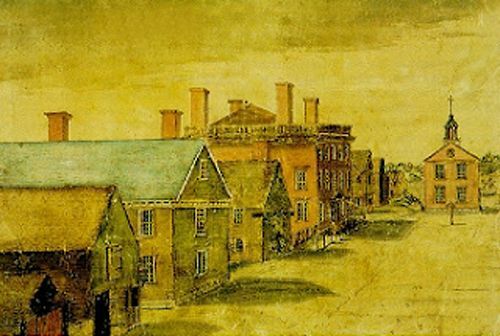 The foundations of the 1692 Parsonage, Nathaniel Ingersoll’s Ordinary, the Sarah Osborne House, Joseph Putnam’s home, and Bridget Bishop House can also be seen. Today, Danvers supports a population of about 24,000. and continues to retain much of the hominess and architectural heritage of old New England.